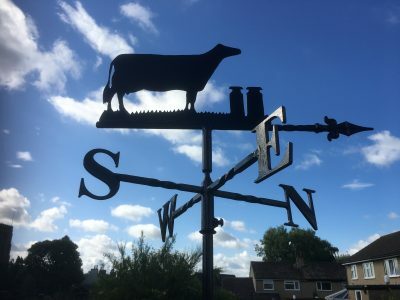 Handcrafted weathervane with a race horse motif. Weathervane featuring a shooter and pheasant. Single and pairs of pheasants are also available. A very effective weathervane depicting a triathlon event. 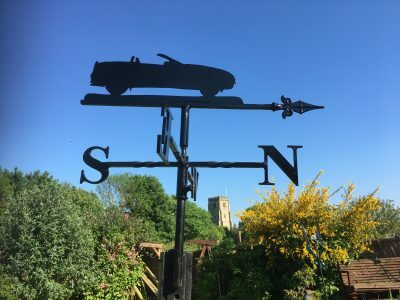 A handcrafted weathervane with a walking cat motif. Cats in other positions are also available.